The spring kit contains 3 additional sets of springs and spare gaskets. Please refer to the instruction sheet included in your GAN356 cube for details. I received the product via an anvelope and included were three sets of seven springs and three washers and three plastic nut screws. The springs were S9, S7 and S6. So you can choose between three different sets of springs. Some are looser and other are tighter. It can really alter the feel of the cube. I expected just a set of springs but I was suprised that there were three different springs included. Joshua S. Reviewed by Joshua S.
These extra springs are just what i needed. the S9 set made my 356s V2 cube a lot faster and easier corner cutting than usual. thanks speedcube.com.au!!!! 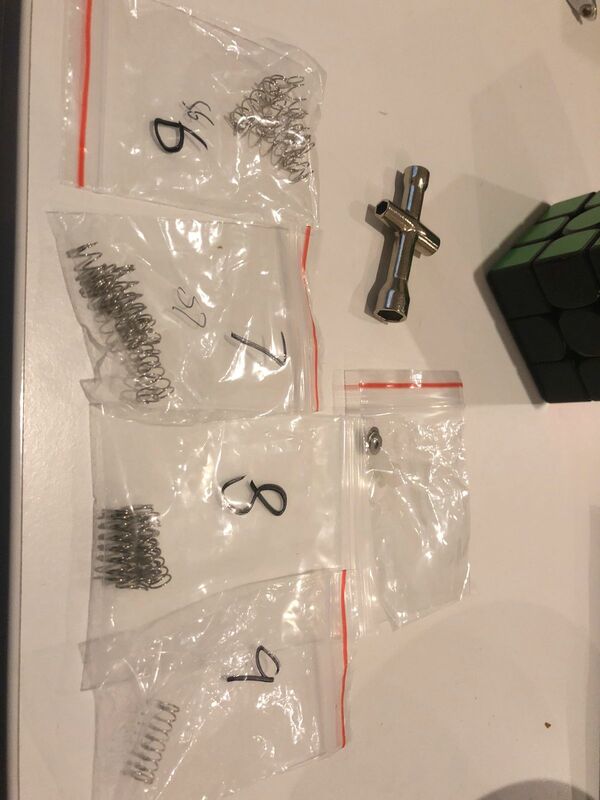 Paul D. Reviewed by Paul D.
Unable to find a supplier of Gans 356 springs in the UK, I ordered this set from Speedcube in Australia and they arrived in just over a week. Great service. Eric A. Reviewed by Eric A.